Searching for a bespoke marketing gift idea? Crafted from high quality steel, these mugs are an excellent fit for beverage brands. 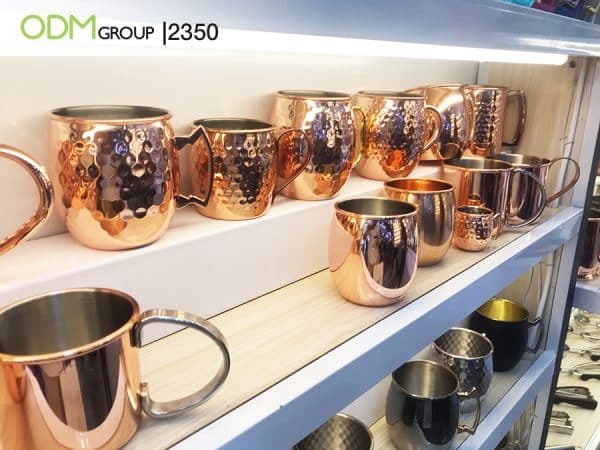 This product is similar in design to the copper mugs that bars traditionally serve ‘Moscow Mule’ cocktails in. As a result, many customers would associate the popular drink with this mug. This makes these mugs a perfect gift with purchase option for premium alcohol brands. Why select these mugs as a bespoke marketing gift? Customisable: The product comes in a range of shades and patterns. It is important for customised drinkware to fit your brand’s visual identity and focus. Practical: The mugs are made from durable steel. This is ideal for parties where drops and spills are often an issue. Maintains temperature: Steel adapts to the temperature of the liquid inside, insulating and maintaining temperature. This means that the mugs would also keep beverages warm, making it a suitable bespoke marketing gift with purchase option for coffee or hot chocolate brands too. 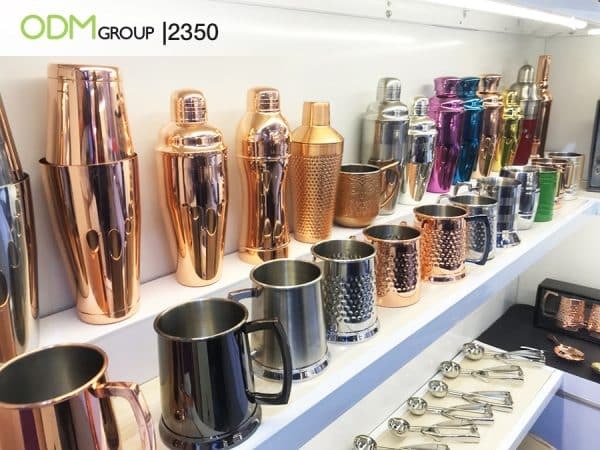 Enhances taste: Bar aficionados even believe that these mugs improve the taste of drinks due to the oxidisation which occurs when alcohol comes into contact with metal. You’ll have to try it and see for yourself! Match product to customers: A gift with purchase should relate directly to the needs of key customers and your brand’s focus. For example, a custom drinking cup would be a great fit for a premium alcohol company but may be mismatched for products from other industries. This reinforces the value of knowing your customer through targeted market research. Promotional packaging: We suggest custom retail packaging to highlight the gift with purchase promotion. One idea for beverage brands would be printing a recipe for a Moscow Mule cocktail on the packaging or including one inside. Customers are sure to value this bespoke marketing gift. Increasing brand visibility in this way can have long-term benefits, leading to loyal customers and a positive brand image. One survey even found that 90% of customers were at least “somewhat likely” to buy more frequently from a brand after receiving a free gift. Consider promotional drinks products an investment in encouraging repeat purchases and establishing a long-term relationship with customers. Think that these rose gold mugs would work for your brand? Reach out to ODM today and mention product code: 2350 for a quote. This Nutella’s promotional gift offer will keep their brand fresh in customers minds when they use the unique speaker. A glass is a popular gift with purchase for beverage brands. Somersby adapted their packaging well to promote this deal. A gift with purchase does not always need to be branded to work well, as shown by this case study. L’Oréal has found that their customers use these smaller items for travel and prepared a fitting gift offer.